Hunter Marine has never been afraid to mix things up and they are doing it again with the launch of a 27-foot, trailerable, water-ballasted motorsailer dubbed “theEDGE”. The hull is designed to carry a 75 horsepower outboard that’s reportedly capable of pushing speeds to 20 MPH (conspicuously not knots). But the boat also carries 330 square feet of sail, a retractable centerboard (drawing less than a foot, retracted), and retractable rudder. 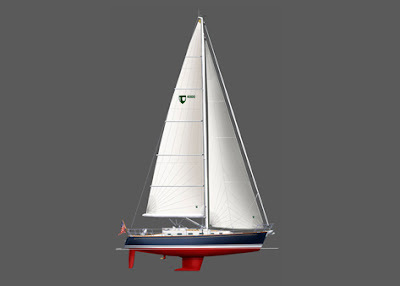 With sails up and board down, the boat will move under sail power alone in most conditions. A beam of well over 8 feet provides significant accommodation. This is a small sailboat with enough engine muscle to pull a water skier. If you want a versatile boat theEdge is definitely that. I guess the McGregor 26x finally has some competition. Previous articleCape Cod Circumnavigation on a F-24 Trimaran?